Nothing perks up a room quite like fresh flowers. Studies have shown that simply looking at them can provide a mood-boosting effect. That’s why it’s extra hard when it comes time to part ways with petals, so many people wind up keeping bouquets around much longer than they probably should—you know, way past when they’ve started to look (and smell) bad. To find out how long you should actually keep your blooms around, we checked in with Christina Stembel, founder and CEO of San Francisco’s Farmgirl Fresh. According to her, every flower has a different lifespan: dahlia’s only stay fresh for three or four days, while roses can keep on kicking for up to 12 days. As long as you’re willing to put in a little effort to prune and toss wilting flowers, it’s safe to bet that an overall bouquet can last about a week. “Cutting the stems and changing the water often really helps, as does keeping them out of direct sunlight and in a cool space if possible,” she explains. Flower food can also make a big difference, but if you’re using the powdered kind be sure to dissolve it first so it doesn’t clog the bottom of the stems and keep your buds from getting enough H2O. The clearest sign you’ve gone too far isn’t a pleasant one. If the stench of rotting flowers wafting through your kitchen hasn’t already signaled that it’s time to toss that bouquet in the trash, you’ll know things are officially over between you and your once-beautiful bouquet when you see some not-so-pretty slime growing in the vase. 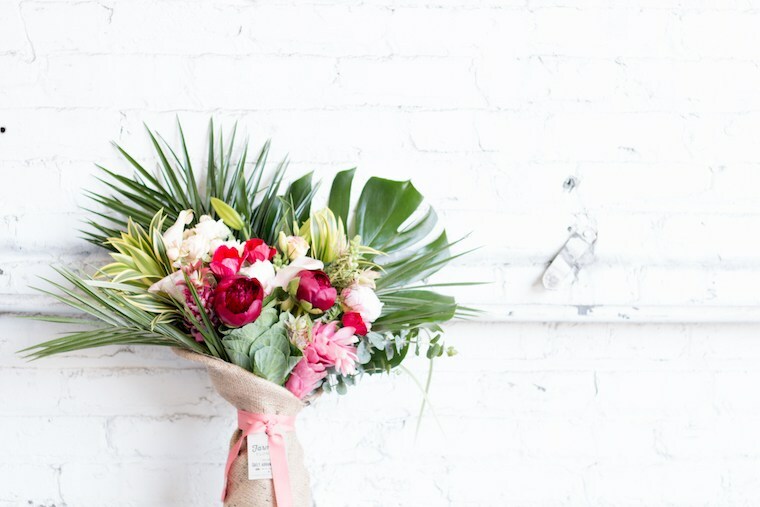 To up-cycle your bouquet, Stemble suggests swapping out dead blooms for fresh flora from the farmer’s market and repurposing the filler greens which have a much longer lifespan. Et voila—another full week until you have to break up with your bouquet for good. Ready to flex your floral muscles? Here’s how to up-cycle your grocery store blooms to make them look $$$ to give your home the ultra-potent flower power it deserves.